← Anamoose Old Settlers Day! 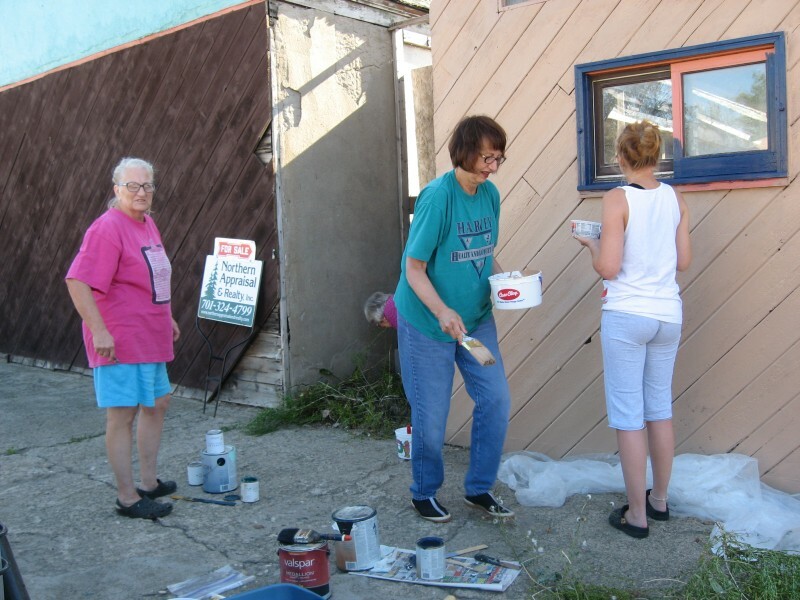 Many people were out camping on Saturday, but 7 of us were busy painting and improving Main Street in Anamoose. The workers were: Barb Helm, Phyllis Zimmerman, Neva Ripplinger (Phyllis’s granddaughter), Scott Knutson, Annette Kost, Bonnie Helm and myself. We painted the front of the old bar building on the east side of the street and some windows on several other buildings. Lace curtains were also hung in some windows of vacant buildings. On a sad note-someone stole the hanging basket by the Senior Center. I think that is pretty low of someone to do that after all the work that Jerry Helm does every day with watering them through all this wind and heat.